- Mezza Mediterranean Grill - so good! This is parcel 2 of 3 that is currently for sale. The property is described as a tear down, however, I think there is real potential in the original house. 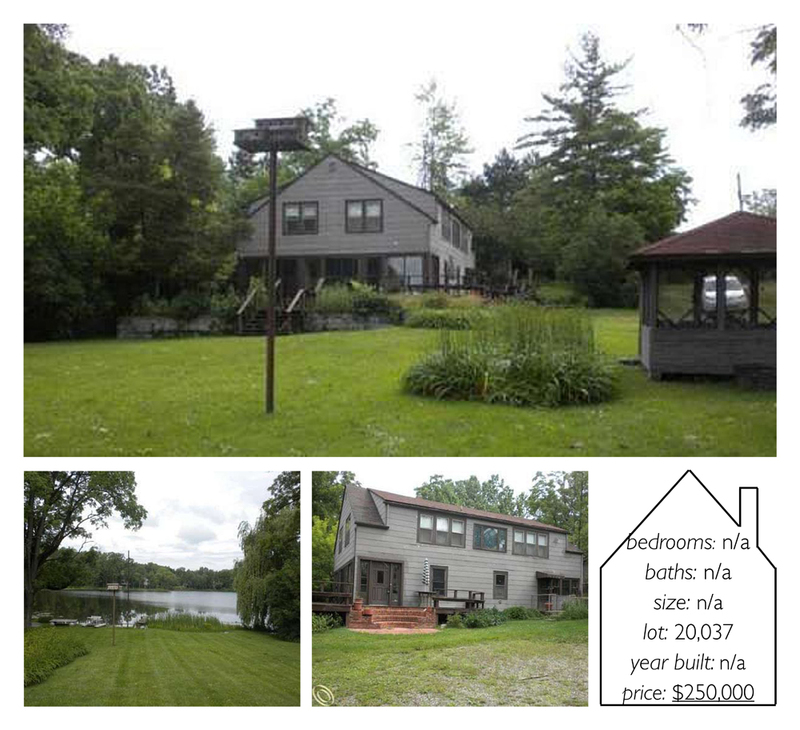 The main attributes of this home is its lot with direct views and access to Morris lake and all the surrounding green. This home requires a special eye but could become a pretty cool midcentury home if the right renovations were made. Plus look at that amazingly clear water! I love the open floor plan and outdoor living space of this home. It is also located on a canal which gives you water access while providing a quieter setting. Located on a lake point with 154 feet of frontage, this home has water views from most of its rooms. It also has a separate garage with an apartment above which adds to its already sizable square footage.